…The band was refreshed, and excited about the concert being recorded and filmed. Dylan delivers a power house performance. If you are a fan of the christian material, this is not to be missed. 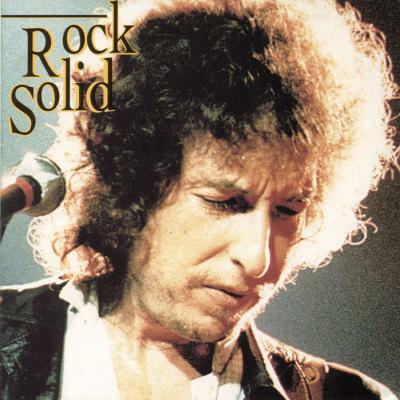 If you love to hear Dylan pouring his heart and soul into the show… this is the one. FANTASTIC concert from the “Third Gospel Tour”. Clydie King, Gwen Evans, Mary Elizabeth Bridges, Regina Havis, Mona Lisa Young (background vocals). 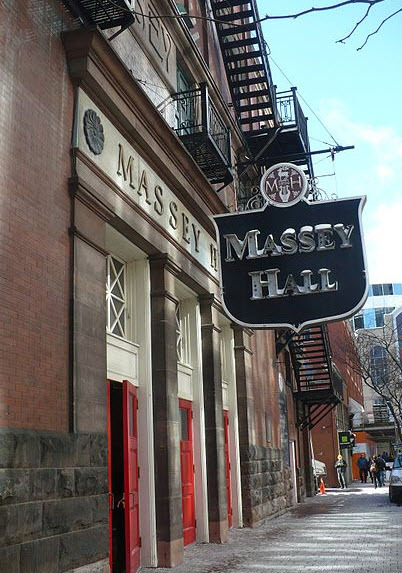 Massey Hall is a performing arts theatre in the Garden District of downtown Toronto. The theatre originally was designed to seat 3,500 patrons but, after extensive renovations in the 1940s, now seats up to 2,765. Massey Hall and the more intimate Eaton Auditorium were the only substantial concert venues in Toronto before the opening of Roy Thomson Hall as the new home of the Toronto Symphony Orchestra and the Toronto Mendelssohn Choir.Massey Hall was designated a National Historic Site of Canada on June 15, 1981. 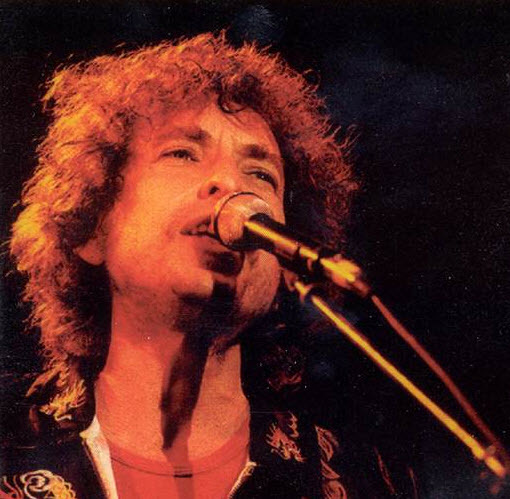 I consider myself spiritual, not religious at all, but I have always loved Dylan’s gospel stuff. He sang with such conviction. It’s so great to hear some of these heretofore unheard tunes as well as terrific live versions of the “Slow Train” and “Saved” songs. … I optimistically an enthusiastically endorse Steve’s plea for an official bootleg of this concert. Bob doesn’t need the cash or the critical backlash he’d get by releasing it, but he has never let crap like that stop him before! next one in the ‘Bootleg Series’ ( with dvd) please !!!!!!!!! it was wishful thinking ! shame it was not included in the very expensive box set. A really wonderful Dylan concert. I understand things now so much better – after 35 years. This is a jewel! I ignored Dylan when he went religious. I’ve also ignored him since maybe 1990, at least live like this blog has him, mostly live. You know why: He sings like a horse. Don’t get me wrong. He”s had some very good songs after 1990: On CD, vinyl, etc., but not live. Everyone in my town knew this when he came, but many went just to be able to say they saw ‘Bob Dylan’. They said he was not good, as expected. This is no cut on Dylan. He’ll go down as a great musician who wrote amazing material and performed it in his earlier years with raw emotion. He’ll go down as a major influence on many genres of music. He’ll go down as one of maybe 3 top ‘players’ in rock/pop/folk who ever lived. But he’s not a nice guy, and he’s ripping people off by giving concerts now. It’s awful to listen to. Not a way to end or begin the end of one’s legacy. Your level of discourse on the merits of Mr. Dylan’s vocal talents is as erudite as it is compelling. I’m glad you have added your thoughtful dissent about Mr. Dylan’s “not good”(!) concerts to a website that focuses much-deserved attention on the man’s biggest strength–as a performer. Also thank you for pointing out that your confused meandering chastisements are “no cut” against the great man. Like Bob, I will sleep soundly tonight knowing that an internet commenter has forgiven Mr. Dylan his transgressions. In our new gilded age, it is a relief that some people are courageous enough to go after the real villains: performers charging some 75 bucks for 90+ minute concerts! He is indeed “not a nice guy”. Lastly, I appreciate your solicitude for Bob’s legacy. As he has pointed out in various interviews, Dylan spends his nights and days worrying about the untold amounts damage to empty constructs like “legacy”. My eyes have been opened & I am forever grateful.